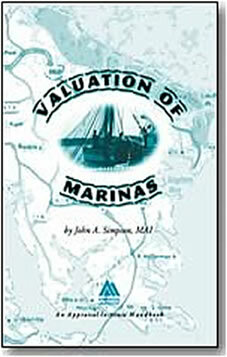 There are tough marina appraisals… and there are TOUGH marina appraisals. Valuing a commercial pier fits into the upper tier. If a crane is present, it is typically used for the loading and offloading of cargo containers. Unlike typical marina docks that house pleasure boats, the commercial pier can have several alternate uses. Examples include tug boats, commercial boat operators with large ship mooring needs such as fishing vessels, research vessels, and megayachts. 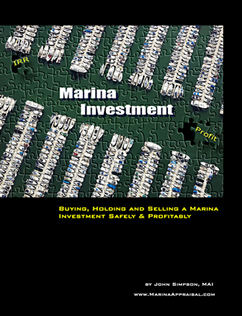 You cannot value the pier based on turning it into a typical marina. Occupancies at the office and/or warehouse buildings on the site are at least partially tied to the commercial pier (i.e. tenants for the pier typically rent office/warehouse space at the marina). It is nearly impossible to obtain the wide range of approvals necessary to develop a commercial pier, so the approvals have intrinsic value in and of themselves. It is also expensive to obtain those approvals and very time consuming. Most large boat users own their facilities, so there are very few or no comparable rentals for any of the above alternate uses listed above. Potential incomes can range substantially between the many alternate uses above. The commercial pier may have a very different value to a specific user that exceeds market value. Value is use is very difficult to estimate because it is dependent on the specific situation of the user. So, how do you value a commercial pier? Though I’d like to give away the store, the answer is very situation specific, so there’s no one answer. You have to test all the alternate uses. You will likely have to go several states or more along a coast to find anything, so it’s not a local appraisal assignment. You will have to invest WAY more time trying to find any scrap of data you can. Getting accurate cost information is nearly impossible; Marshall & Swift is of no help here. Yeah, it’s a bear of an assignment and you’ll need at least twice the normal turnaround time and at least double the fee. But then again, maybe I’m the only one crazy enough to do these things.